Spent some time today writing up documentation for the skin modifier on the Blender wiki. Most of the tips and tricks for using the modifier should be covered now, and each section has a (hopefully useful) example image. In addition to documentation work, I’ve pushed some improvements to the topology generation. It is a lot more stable now around branch nodes. Although folding still occurs, it’s getting reasonably hard to generate a non-manifold mesh. Doodling with the skin modifier, clay strips brush, and Cycles. I’m also starting to enjoy playing with the skin modifier; it’s just fun to doodle with :) I don’t really use Blender as an art tool, but occasionally it’s nice to just play with all the cool tools. Awesome work dude. I’m really loving playing with this thing. One thing though. Any chance of changing the hotkey for thickness. There are times when, lets say i want to scale a whole arm of a character without changing the thickness. It’s kind of hard to do without messing everything up. Also when aligning vertices/edges/ faces to an axis, usually the quickest way is to scale to zero along the axis. Which also ruins the thickness. 1. An awesome modifier. You have no idea how much this will speed up character creation. 2. Good documentation that I can actually understand. Actually – having a hard time using. I checked out the git repo. and built blender on OSX with Cmake. However, I don’t see ‘Skin’ in the modifier menu, when I have a mesh selected. Is there something I need to flag? Agree this is needed, working on it now. 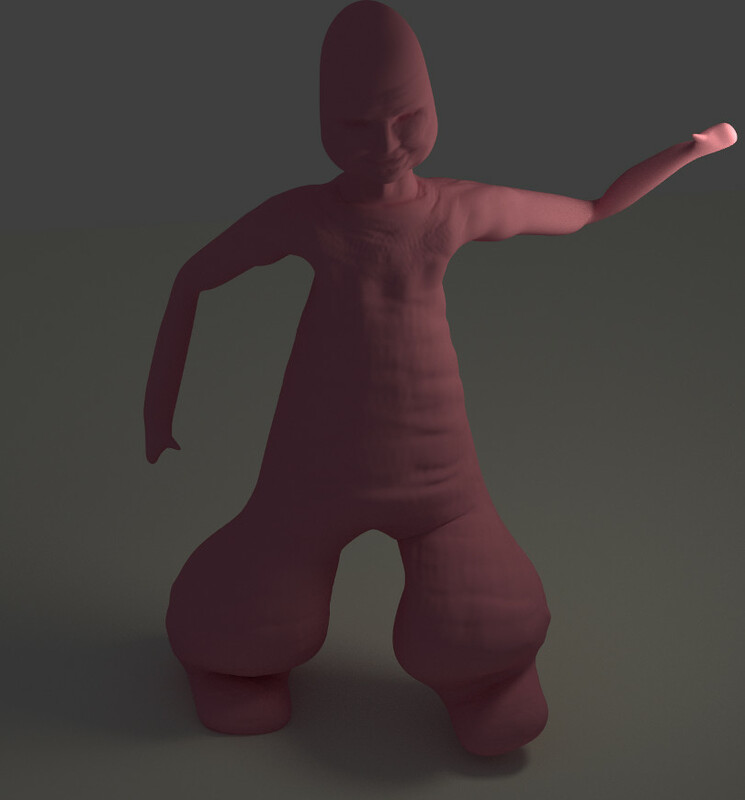 Hehe I like the character you made, it’s always fun to play around with things in blender, to be honest the skin mod kind of reminds me of the game spore with the creature creature, it’s just fun to play with.